Fenugreek is a plant that is used both as an herb and as a spice. 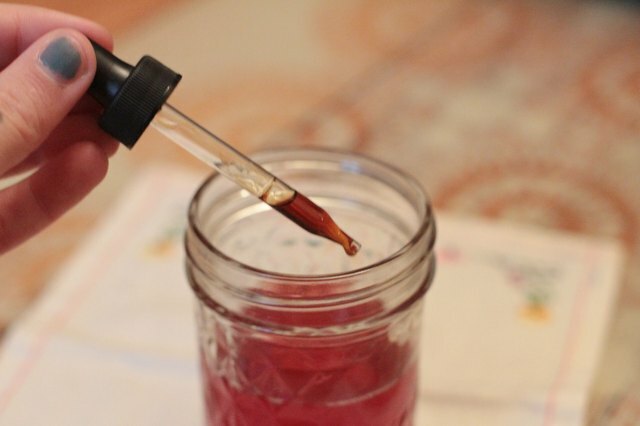 It can be used in cooking, as a home remedy for a wide variety of ailments and also to flavor artificial maple syrup. Read on to learn more ways that you can use this versatile seed. Lightly roast and grind fenugreek seeds to use in Indian cooking. Heat a skillet over medium heat, add fenugreek seeds and dry roast until the seeds experience a slight change in color and are hot to the touch. 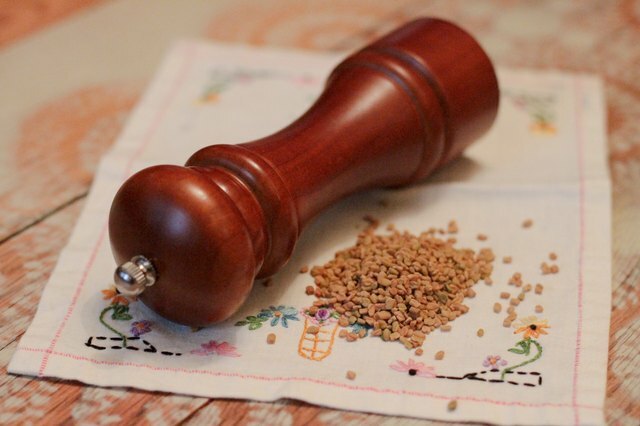 Once the seeds have cooled, grind them into a powder using a small spice grinder. Your powdered fenugreek seeds can be used in curries or combined with nigella seed, mustard seed, fennel seed and cumin seed to make panch phoron, an Indian five spice seasoning. 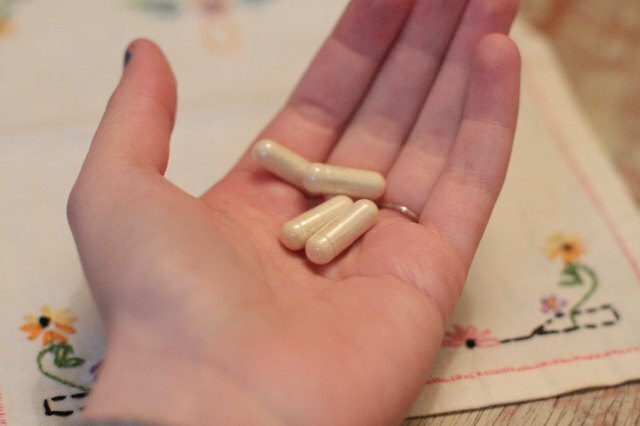 Ease digestive problems with fenugreek. 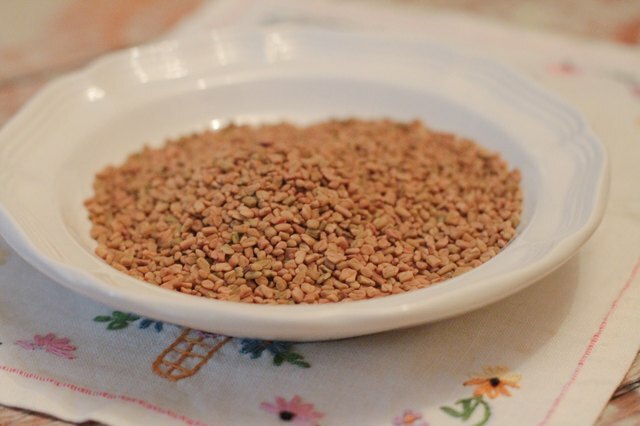 Fenugreek has long been used as a digestive aide. 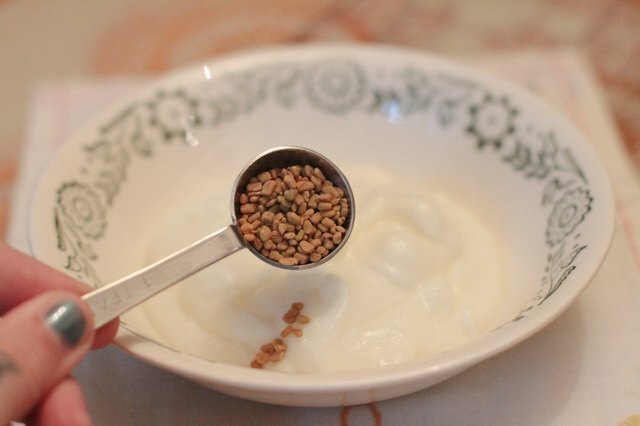 Soak one teaspoon fenugreek seeds in one tablespoon of plain organic yogurt for an hour and eat. 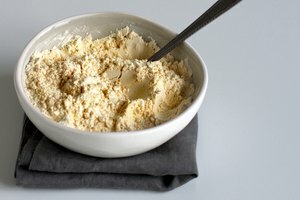 Use fenugreek to increase milk supply. Fenugreek has been shown to increase milk production in lactating women. A 2000 Swafford study found that the use of fenugreek "significantly increased" the volume of breast milk that women were able to produce. To increase your milk supply using fenugreek, take two to four 580 mg capsules of fenugreek three times per day. Fenugreek powder can also be used to increase milk supply by mixing one tablespoon powder with 1/4 cup juice three times a day. Try fenugreek as a weight loss aide. To use fenugreek as an appetite suppressant, mix two or three drops of liquid fenugreek extract into 1/4 cup juice and drink on an empty stomach. 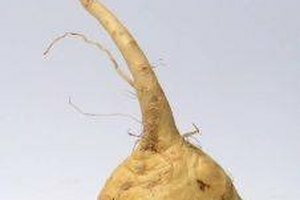 Take fenugreek to help control blood sugar. Fenugreek is a popular supplement for those with diabetes because it helps to slow the release of glucose into the blood. 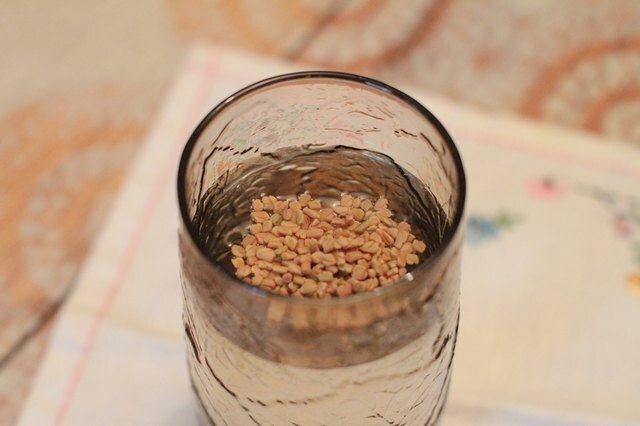 To use fenugreek to help control blood sugar, soak one teaspoon of fenugreek seeds in eight ounces of water overnight. In the morning, drink the water on an empty stomach and discard the seeds. Buy an Indian cookbook to find a wide variety of ways to use fenugreek in food. Consuming a large amount of fenugreek may cause your sweat and urine to smell like maple syrup.